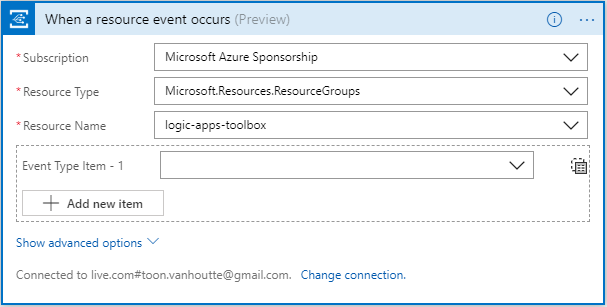 Event Grid allows to build reactive applications, based on out-of-the-box events from within the Azure ecosystem. Logic Apps has native support for Event Grid, but lately I've encountered an issue that I want to share with you. First, I wanted to test if the Logic App fired, to validate the trigger information and to fine-tune the filters. For this I created a new resource, but the Logic App didn’t fire. In order to solve the issue, I navigated to the Resource Providers blade of my subscription. 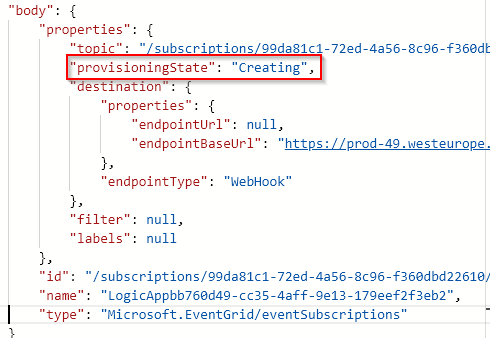 Indeed, it showed that the Microsoft.EventGrid provider was not registered. When a Logic App is not firing, it’s good to have a look at the trigger history and its details. The Activity Log is always very helpful to further troubleshoot. During an EDI from BizTalk migration I encountered a strange issue, and I want to share my findings with you.